In Touch: Keyboardist George Duke grew up in Marin. 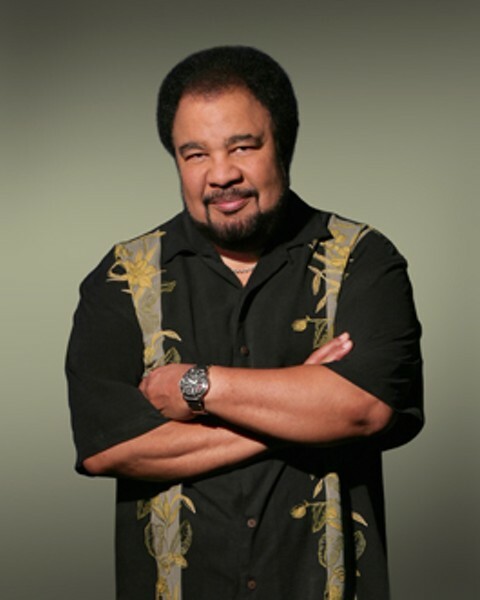 I'm a child of the '60s," says keyboardist George Duke. "Artists have a responsibility to bring positive messages. I'm an idealist. Artists should shape ideals, without which there are no goals." Duke, who comes Sept. 7 to the Russian River Jazz Festival, believes his latest album, Dukey Treats, harks back to the forward-thinking social commentary of that era. But the album is also a return to his roots in funk and rhythm and blues. "There's a resurgence of that," he says in a phone interview from his home in Los Angeles. "Others are doing it, but not so well. I wanted to represent it as it was then." Duke grew up in government housing in Marin City, his father working the shipyards, his mother teaching. A fascination with the piano began at age four when his mother took him to see Duke Ellington at the Presidio. "He kept raising his hands. I didn't know what he was doing. I found out later he was playing the piano," Duke says. The young Duke also attended Baptist church in Marin City where, he says, "I learned how to play, and the relationship of music to spirituality, communication without words. They played gospel, but it's all related--it all stemmed from there." He joined several jazz groups while attending Mill Valley's Tam High, and while studying music in college, joined Al Jarreau in the house band at San Francisco's Half Note Club. Soon he found himself playing alongside such jazz greats as Sonny Rollins and Dexter Gordon at the Both/And club on Divisadero Street. One night in 1969, at Thee Experience, an L.A. rock venue, his George Duke Trio performed for an audience including Frank Zappa and Cannonball Adderly. Upon returning home from church shortly afterward, Duke's mother gave him a message from Zappa: "George, I want you to join the Mothers of Invention." Duke refers to the '60s and '70s as "an exploratory time, combining other forms with jazz," and Zappa was in the forefront of a movement that saw rock groups using free-form improvisational techniques common to jazz. Jazz artists discovered electrified instruments, and the tempos of soul, funk and R&B. Jazz fusion was born, according to Duke, with "the strength of rock 'n' roll and the elegance of jazz." One connection led to another. After a year with Zappa, including acting in the zany film opera 200 Motels ("I had just joined the band and was thinking, 'These guys are out of their minds! '"), Cannonball Adderly invited him to join his band. "I was a jazzer at heart," Duke confesses, "and I couldn't resist Adderly's call." Two years later, Duke once again hooked up with Zappa, this time for three years and a total output of eight records. Why the reunion? "Frank got jazzier," Duke explains. "I toured with Frank while continuing to record with Adderly." Through it all, Duke kept changing with the times. "Once I've achieved one thing," he says, "I see what's around the corner. It's been a journey through the music catalogue, everything from jazz to R&B to Latin to funk--and what holds it together is me." At a show with Adderly in Finland he met and began a long collaboration with Stanley Clarke. Meetings with Flora Purim and Airto Moriera set the foundation for later experimentations with Brazilian styles. In the late '70s, Duke began focusing on solo work and producing records for others, including his cousin Diane Reeves, a connection that netted two Grammys. He produced four Smokey Robinson songs and refers to him as "a true hero from the past. Working with him, you're dealing with history." For his just-released disc Dukey Treats, Duke wanted to transcend the current recording trend in which musicians often communicate more with computers than each other. "We become enraptured with the sound of something and forget about the lyrics," he says. "The nucleus of this album, especially the rhythm section, has people playing together." Musical styles have changed rapidly in Duke's 62 years, and he's partaken of many of them in the course of over 30 albums. Asked if he considered himself a pioneer in electric piano, Duke leaves the question, like his music, wide open. "That's for others to decide," he says. "I was there at the beginning. There were a few of us." George Duke performs Sunday, Sept. 7, at the Russian River Jazz Festival, Johnson's Beach, Guerneville. Festival runs Saturday-Sunday, Sept. 6-7. $45; $80 two-day pass. 707.860.9000.